I know….you are in the middle of summer vacation and don’t want to think about school lunches, right? Well, my kids go back to school in 3 weeks so I am thinking about what they will bring to eat this year. Sending a waste free school lunch is important to me but it definitely takes a bit of planning. One of my favorite tips to save money is to ditch the disposables. No sense throwing your hard earned cash in the garbage can, right? If you want to cut down on lunch costs this year, here are a few school lunch tips that might help. Check out my back to school survival tips if you are stressing out about the school year starting! You have to spend some money NOW in order to SAVE money in the years to come. Think of your reusable lunch purchases as an investment that will cut down on the future grocery store bills. That being said, here are a few school lunch tips and products that I have found helpful. I shopped on Amazon yesterday to replace a few items that are so old that my kids are embarrassed to be seen with them. My teenagers really have no desire to use cloth bags with tiny cartoon animals on them that we have had since they were 5. The bags themselves are still perfectly good so I will gift them to a friend or give them to the thrift store. I wish I had shopped smarter when I bought them. When buying reusable bags, water bottles, etc, don’t get sucked into cartoon characters and pink hearts. 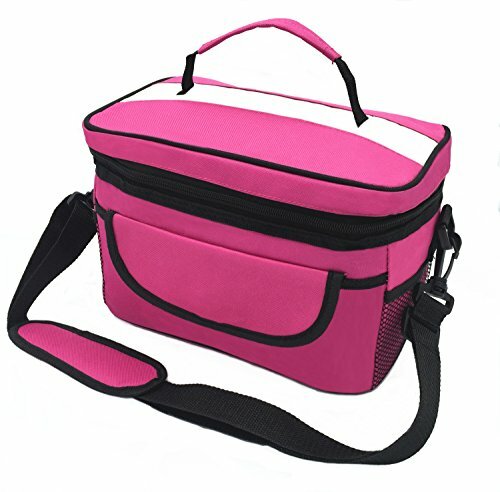 Buy products that are gender neutral that will last for the entire 12 or so years that your child will be taking a school lunch. My teens are good sports about the healthy lunches I send them but they draw the line at being seen with race cars and dinosaurs on their lunch bags. A lot of the waste and cost associated with school lunches can be cut back on while you do your weekly shopping. 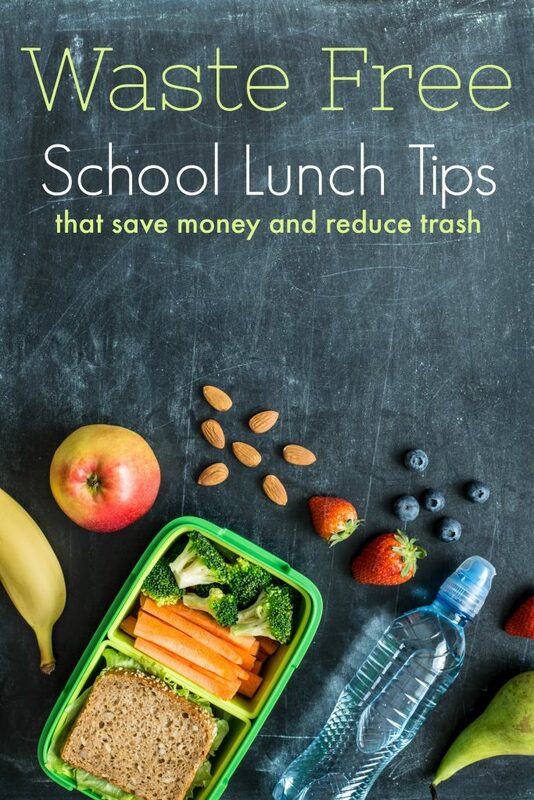 Here are a few tips to save money on school lunches that will also help create a waste free school lunch. Buy in bulk: Skip anything that is individually wrapped whenever possible. Buy large bags or boxes of cheese crackers and put them in reusable containers. Get reusable plastic containers or cloth zipper bags to put them in. Buy full sized carrots and chop them yourself. Skip the pre-sliced apples and cubes of cheese. You pay more for that convenience. Bake from scratch: There is a lot less waste associated with bags of flour and sugar than there is from prepackaged cookies. Bake from scratch to help save money on school lunches. Make my pumpkin ginger snaps if you are looking for cookie recipes to try! Plan a lunch menu: It is far too easy to just hand kids $5 and tell them to buy their lunch if you don’t have a plan. One of the most important school lunch tips I can give you is to be organized. Before you shop, make a lunch menu. Buy those items when you shop and prep everything on Sunday that you possibly can. Your waste free school lunch will be easy if you are organized. Cloth napkins: Buy them mismatched on clearance or from wherever you can find them. 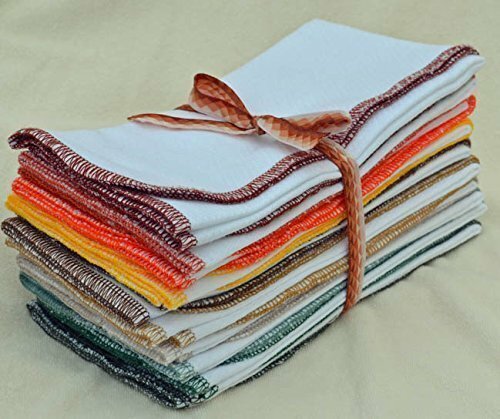 Cloth napkins last forever. You will make back your $20 very quickly. Reusable lunch bag: Brown paper bags are not worth the money. I buy my kids an insulated lunch bag and it lasts 3 to 4 years. Avoid character lunch bags that your child may or may not like next year. Basic black, blue, or purple works fine. 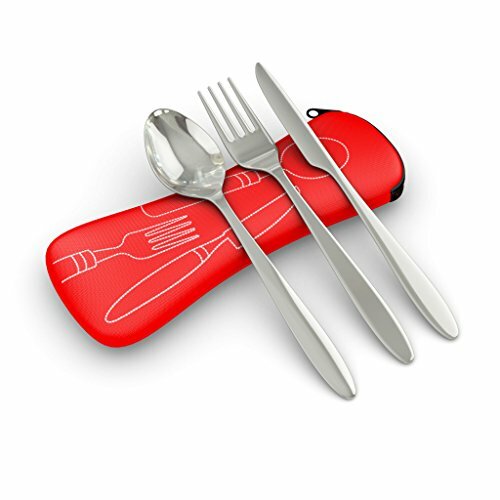 Reusable cutlery: I do not like the idea of sending in a stainless steel fork every time I send leftovers. What if it doesn’t come home one day? Then my set is down to 7 forks and eventually I have zero forks and can’t find a replacement that matches the knives and spoons. Buy reusable cutlery on Amazon. They have nice sets to put in a waste free school lunch so you don’t have to buy disposable plasticware. Reusable containers or bags: Buy cloth or plastic containers to put your food in. Get a variety of sizes and shapes. Especially the sandwich ones. Bread comes in lots of sizes and rolls will not fit in something small. Reusable water bottle: Skip the expensive juice boxes and cartons of milk. If you are looking for school lunch tips to save money, stop buying containers of liquid! No disposable water bottles are needed for school lunches. I bought a 12 ounce Mira water bottle for my son’s lunch box. The one he was using finally got so dented with chipped paint that he was embarrassed to be seen with it. It lasted 6 years so I can’t complain, I guess! Stop Wasting Money on School Lunches! 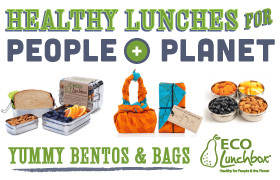 A waste free school lunch is a great way to cut back on costs and reduce your trash output. And if you have ever seen what schools typically serve kids in the cafeteria, you will agree that a lunch from home is significantly healthier. If you are looking for tips to save money on your monthly expenses, bringing a lunch from home is a frugal solution. Have any other waste free school lunch tips to share? Not sure what to put in your child’s lunch? 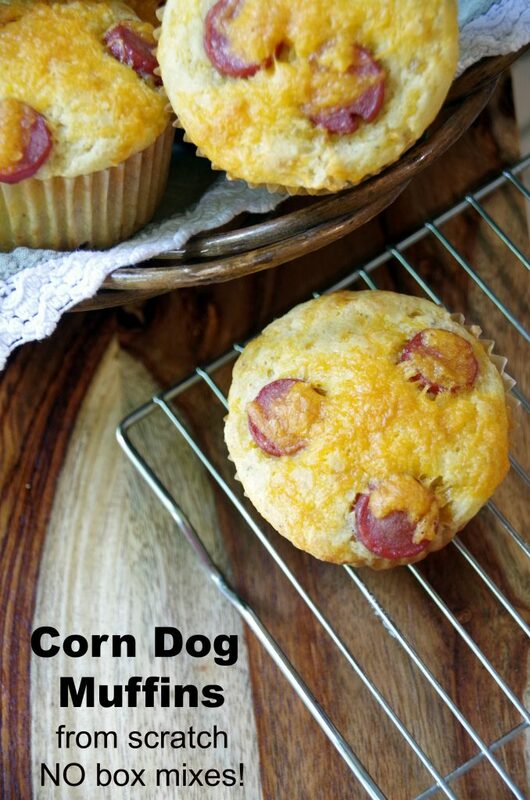 Try these corn dog muffins! Informative post. 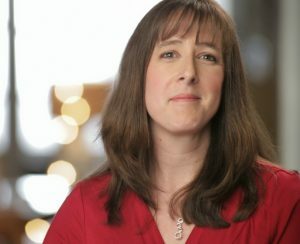 Mother of two school going kids I needed it most. Loved your ideas. Thanks for sharing! Great tips! I work in a school but kids here do not bring their lunch from home but instead they buy something. Most of the time they end up buying sweets, and that is not only unhealthy but it also makes a lot of waste!